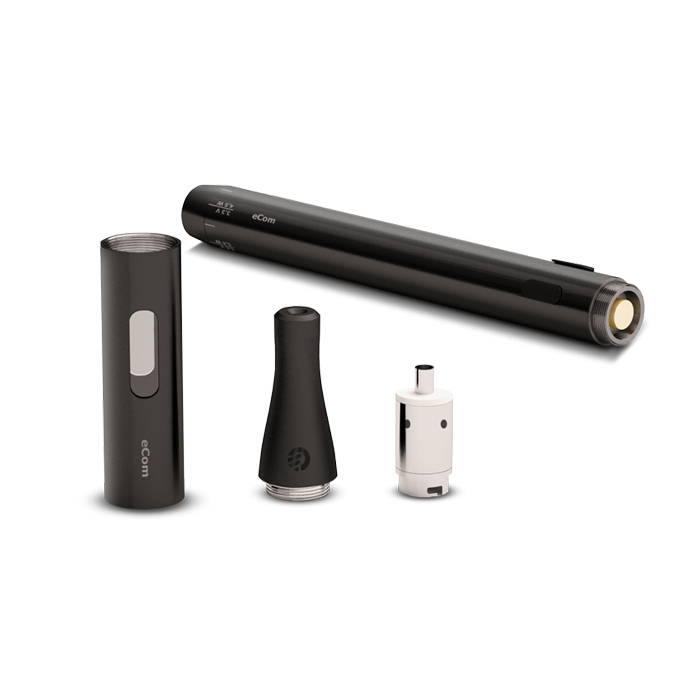 The combined eCom kit includes one 650mAh and one 1000mAh battery and represents the new generation of optimally engineered Joyetech vaping products that synergize the best of the complex and the simple. 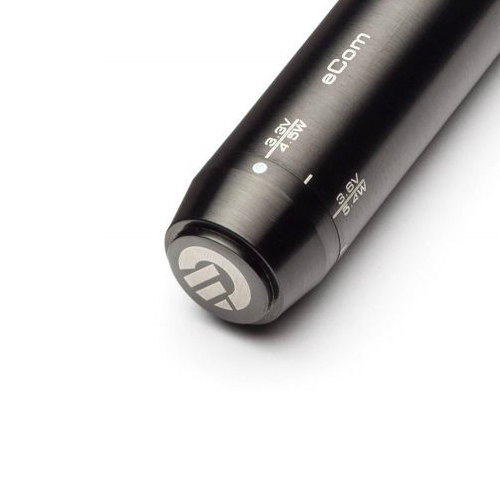 In addition to the extremely sleek lines of the brushed metal finishing, the eCom offers the best of both worlds with two different vaping modes - VV and VW. Variable voltage and variable wattage is the rage and understandably so because if VV revolutionized vaping, VW literally caused a paradigm shift. By being able to adjust both volts and watts, you can control your vaping experience in extremely detailed ways for a truly grand and majestic vape. 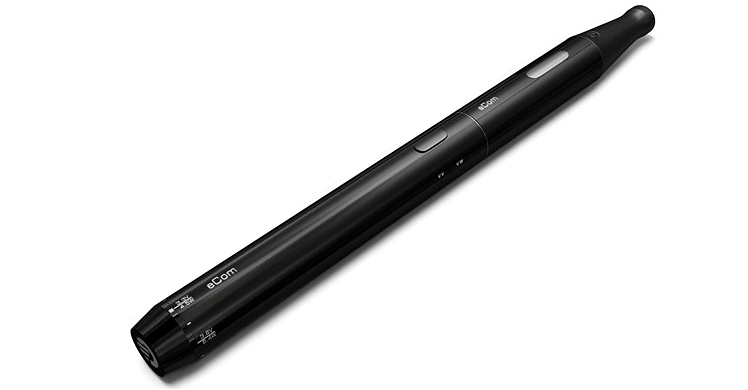 Full of innovations and improvements, the Joyetech eCom is a prince if not the outright king of vapedom. Bottomline? An utterly royal vaping experience in terms of vapour quality, flavour transmission and visual appeal...in terms of pretty much everything you can think of! 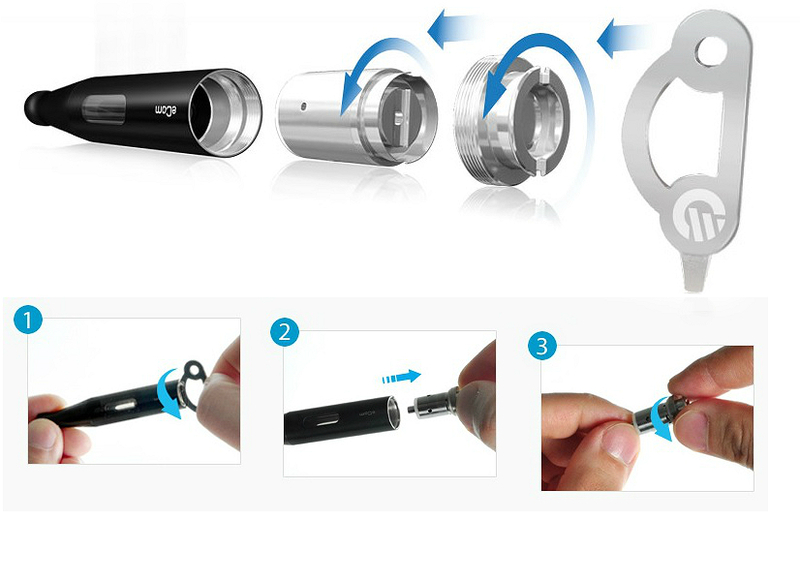 The heart of the brilliant eCom is, without a doubt, the C2 immersible/changeable atomizer head. The head remains immersed in e-juice while it's in use, a serious innovation that creates extremely heavy vapor in a very short time. 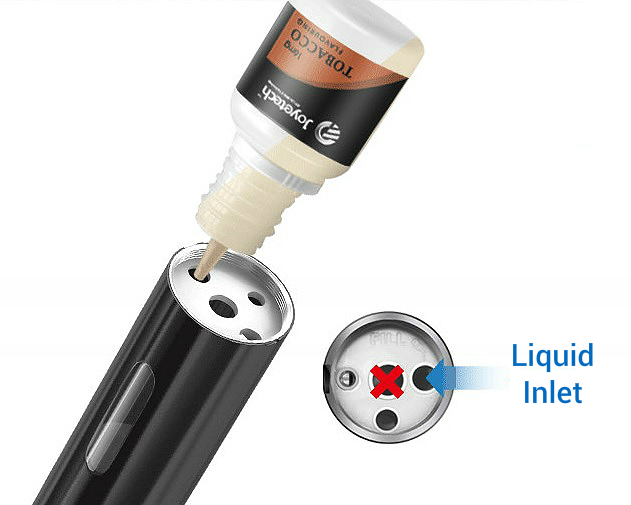 Yet another great and useful innovation that lengthens the lifespan of the device is the fact that the eCom stops working when the atomizer head is dry or when there is no e-liquid left in the chamber. In short, the C2 is all about high volts, high watts and huge chunks of delicious vapor but that's not all. The 2.4 ohm C2 head can take a maximum load of up to 4.5 volts, this electronic cigarette was specifically engineered to run hard and fast! It's a fact, the eCom is more than 100% when it comes to vapor but what about other aspects of vaping? 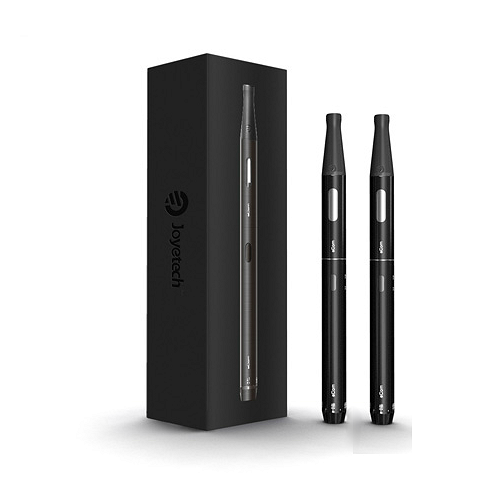 As one would expect, the Joyetech eCom covers every possible angle of vaping that one needs for a perfect vape. 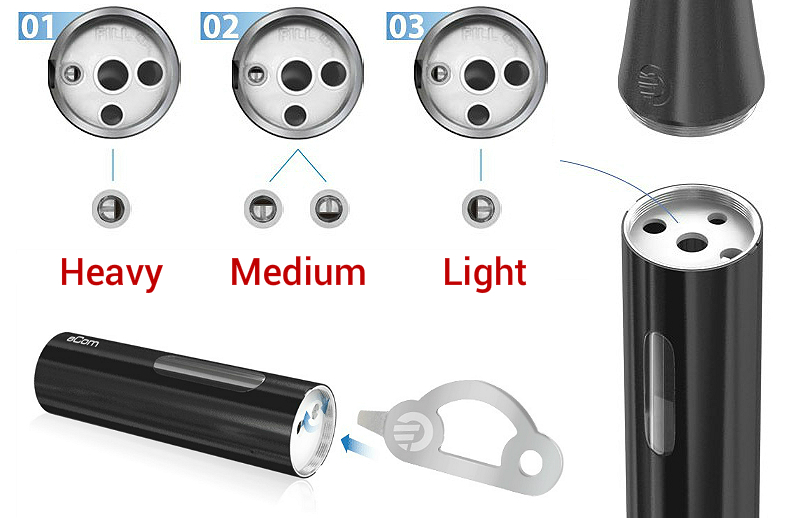 Such as the imminently powerful high-capacity/high-magnification lithium batteries that comes complete with button lights. 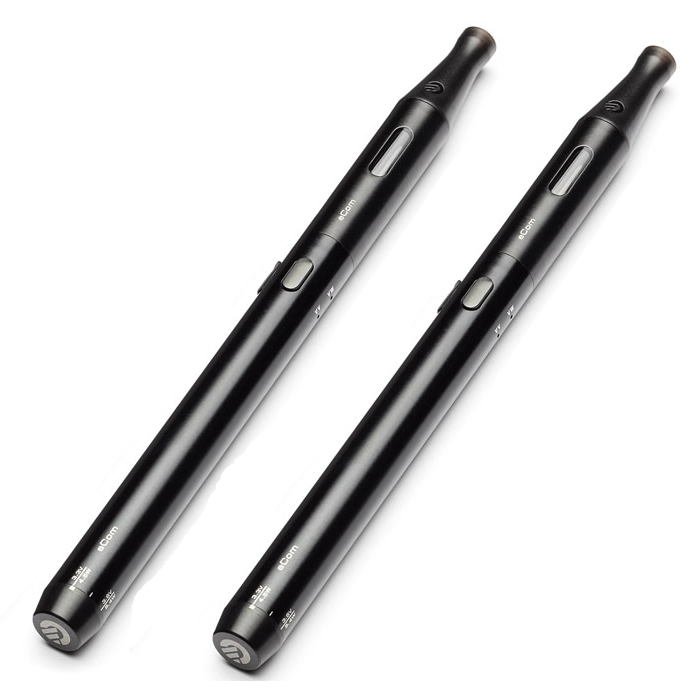 Such as having a USB port despite being such a slim electronic cigarette. 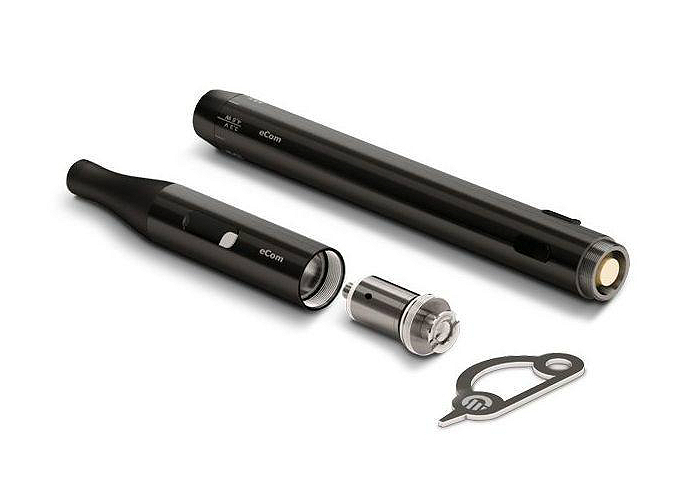 Such as having a mouthpiece connector to use with clearomizers like the Joyetech eGo-CC. The quality of the eCom doesn't stop there. Leakage issues have also been addressed - the eCom has air inlets and outlets at the top that better direct airflow within the device and thus eliminates the likelihood of any leakages. Another nifty fact is that the eCom sports a transparent e-liquid window that allows you to keep a visual check on remaining ejuice levels. But we saved the best for last - most importantly, the eCom allows you to change airflow amounts. This is such a huge advantage that it's one of the main reasons why people opt for the eCom. You can adjust airflow to match your inhalation style - set the airflow to slow, medium, or fast and you get a fully personalized vaping experience that matches your inhalation style 100%!